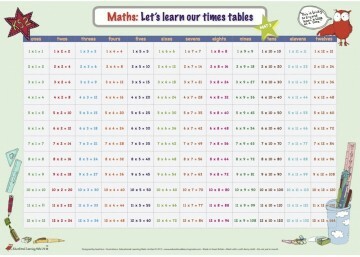 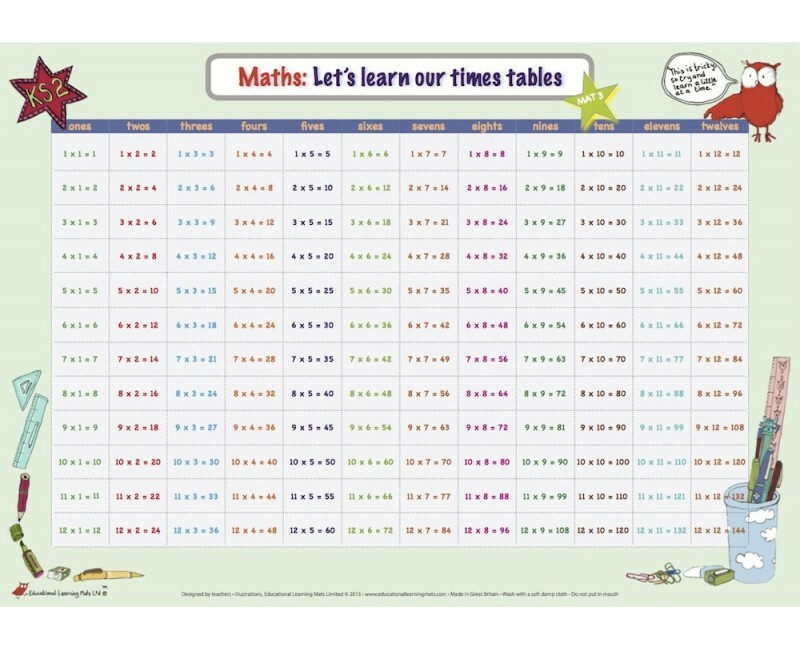 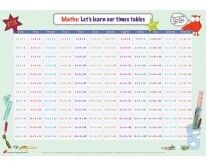 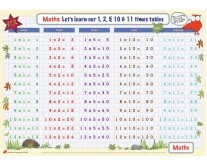 Help with learning 1 to 12 times tables for KS2 (age 7+). 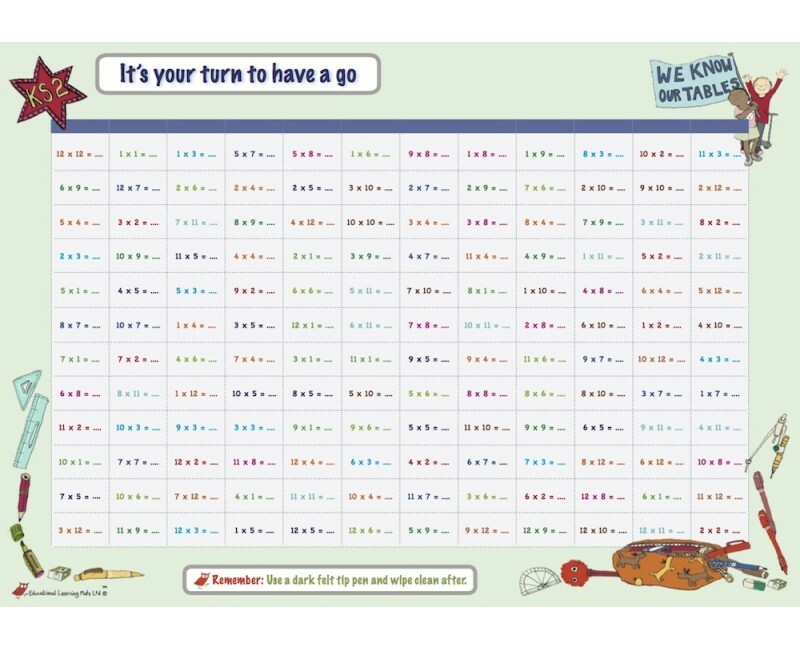 On the front, the tables are clearly laid out; on the back children can test their understanding, answers are shuffled to prevent visual recall. 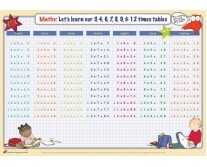 Currently, only avalible in A3 size.